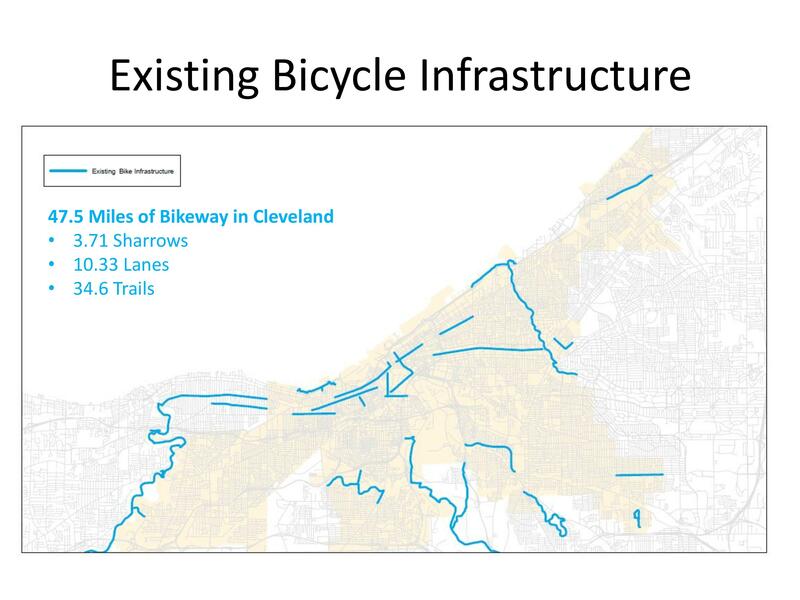 The City of Cleveland announced today a new Bikeway Implementation Plan designed to increase the number of bikeway miles by 250% by the end of 2017. The Bikeway Implementation Plan builds on the existing bike infrastructure in the City and leverages the city’s five year capital improvement program (CIP) to accomplish this significant increase while adding minimal cost to the street projects. 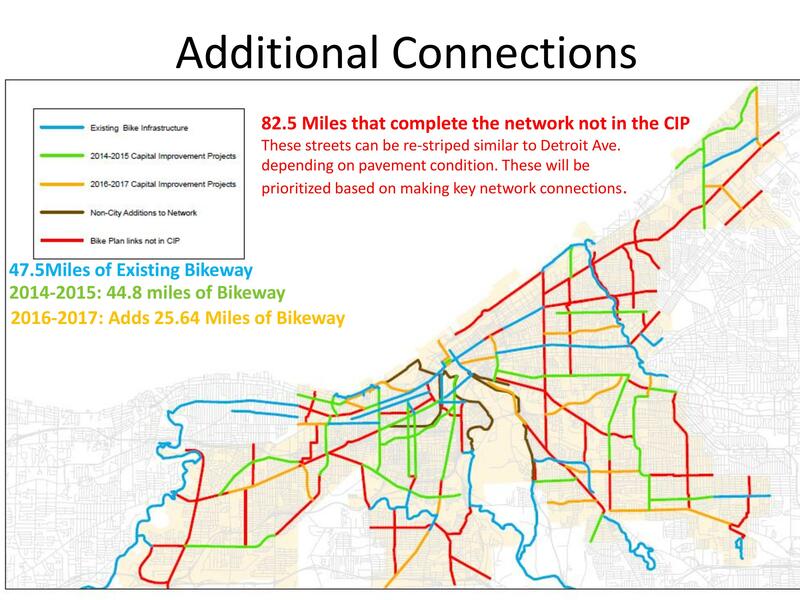 The final Bikeway Network Plan for the City of Cleveland will be introduced to the public this Sunday, January 19, at the annual “Bike Cleveland” members meeting. Cleveland A Global Finalist for Most Lovable Sustainable City! Help us win! Way to go, Cleveland. Having a goal for bike lanes and the funding to back it up is a big deal.